Hi Odette! I used to dance when I was younger (mostly lyrical, but some ballet)and then I took a year and a half off of ballet. Now I'm twelve, and I recently started up at a new ballet school. It's very good, and my technique has mightily improved, and I'm now in the pre-pointe class. All the girls my age and some of them younger are in the Pointe class already and I don't think that I'll be on Pointe for another year or two. Most of the girls my age are good enough to audition for a professional school, and I'm so worried that I won't ever be able to because I'll be so inexperienced compared to most of the girls my age, and I'm sort of jealous and scared at the same time. I read the requirements on websites for dance schools like the School of American Ballet, and the Royal Ballet School, and I freak out! I absolutely love ballet, but I wonder if my dreams of training professionally will ever be possible, or whether they're totally impractical. I know that most professional dancers start out ballet at a young age, are super flexible, and get on Pointe around my age or younger. Will I ever be able to dance with a professional school, or a company? dancers questions, as it helps to get your worried off your chest! At 12 years old, you are still very young. At your age, I had only just joined a vocational dance school and was beginning pointe work to train as a professional. A lot of things changed during this time and many of the friends who joined with me at 12 years old, stopped dancing by the time they were 16 or changed career plans. What I'm trying to say is, don't scare yourself too much about the future or compare yourself to others because you never know what will happen. Even though I was away from home and training to become a professional by aged 12, it doesn't mean everyone is. There are many dancers in the same ballet company as me who did not start training more seriously until they were 16 and still made it as a successful professional. It's hard for me to say if you will make it to dance as a professional, as there are endless factors which could help or hinder your situation. What I will say is, I know there are 7 main virtues which I have put together in one eBook which are each key in becoming a professional. It is difficult for me to give you everything I want in one answer to you, which is why I wrote this book to solve your worries in one place! 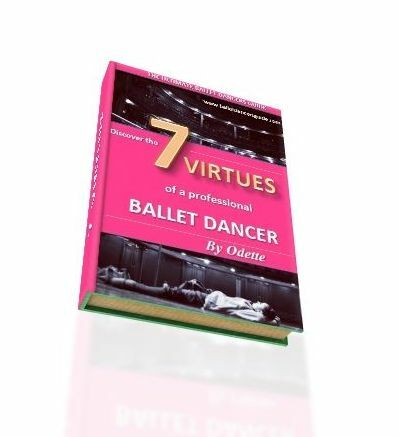 You can see the eBook here, it's called the "7 Virtues of a Professional Dancer". I hope this helps, but please keep in touch and let me know how you're progressing.